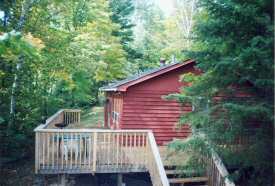 Relaxation awaits on this site which has both southern and western exposure, a well treed 1.5 acre lot, and 400 feet of your own private shoreline. 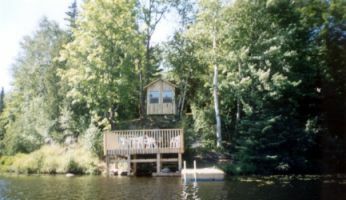 Pass your afternoons swimming from the dock, unwinding on the large lake side deck or enjoying a book in the gazebo. 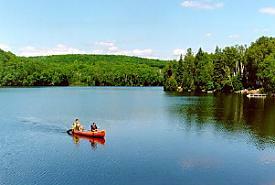 Finish the day with a barbeque on the cottage deck, a campfire, or a canoe at sunset on this natural pickerel and small mouth bass lake. 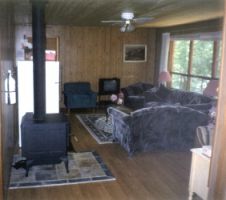 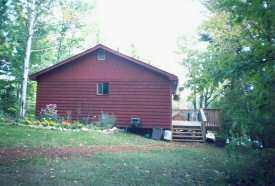 Saturday June 26 to September 6, 2010 - minimum bookings of one week.